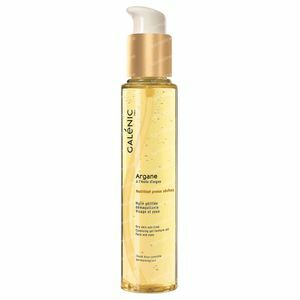 Galénic Argane Oil Gel Purifying 125 ml order online. 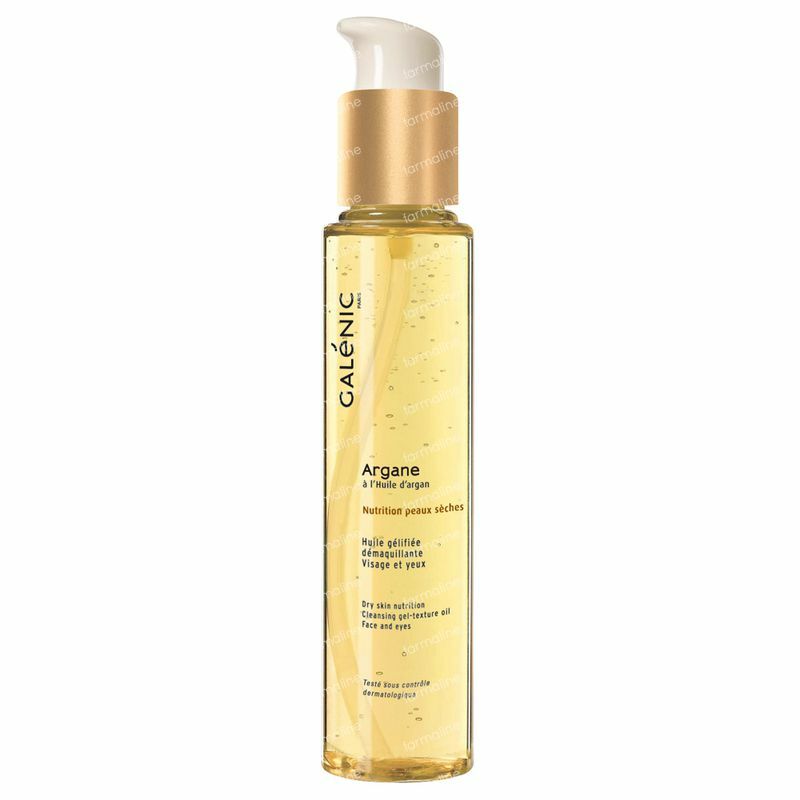 This luxurious Cleansing Gel-textured Oil removes all traces of make-up, even waterproof formulas. Apply 1-2 pumps to dry face and eyes. Dampen hands to create an emulsion and massage the face using gentle circular motions. Rinse thoroughly with warm water. May also be applied with a cotton pad, especially when removing eye make-up. RICINUS COMMUNIS (CASTOR) SEED OIL (RICINUS COMMUNIS SEED OIL). CAPRYLIC/CAPRIC TRIGLYCERIDE. PEG-40 SORBITAN PEROLEATE. POLYAMIDE-3. OCTYLDODECANOL. ARGANIA SPINOSA KERNEL OIL. ALPHA-ISOMETHYLIONONE. BENZYL SALICYLATE. BETA-SITOSTEROL. BHT. CITRONELLOL. FRAGRANCE (PARFUM). LIMONENE. LINALOOL. PENTAERYTHRITYL TETRA-DI-T-BUTYL. HYDROXYHYDROCINNAMATE. TOCOPHEROL. TOCOPHERYL ACETATE.